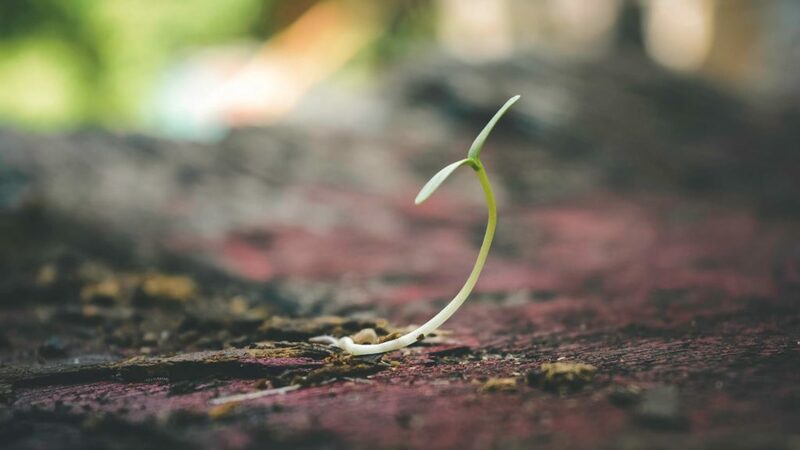 Spring is Coming – Time to Plant Seeds! It’s actually snowing as I’m writing this blog post but according to the calendar, Spring is Coming. And that means that we’re starting seeds indoors. I love sitting down with the seed catalogs and dreaming about having a bountiful harvest. Of course, reality never quite lives up to the dream but that doesn’t mean that I’m giving up. It’s certainly a lot of work to start plants from seed but there’s also a lot of pride when you’re successful. Isn’t that what farm living is all about – hard work, huge rewards?! When is the Best Time to Start Seeds Indoors? First, you have to figure out when the last danger of frost is for your area. There are several websites that have frost information based on geographic region. I have used the Old Farmer’s Almanac site and found it to be pretty reliable. Just follow the link and enter your zip code to find an average date of the last spring frost in your area. This date is just a guideline to help you determine when to start your seeds indoors. As you get closer to that date, you will need to watch the long range weather forecast to determine when it’s safe to move your fragile seedlings outdoors. Once you have the date of the last spring frost, check the back of your seed packet. You will find instructions that tell you how many weeks prior to that date you can plant your seeds indoors. What are Some Options for Seed Starting Containers? There are plenty of commercial seed starting kits available in the stores and I’ve used some of them in the past. They work fine. However, I like to re-purpose when possible. 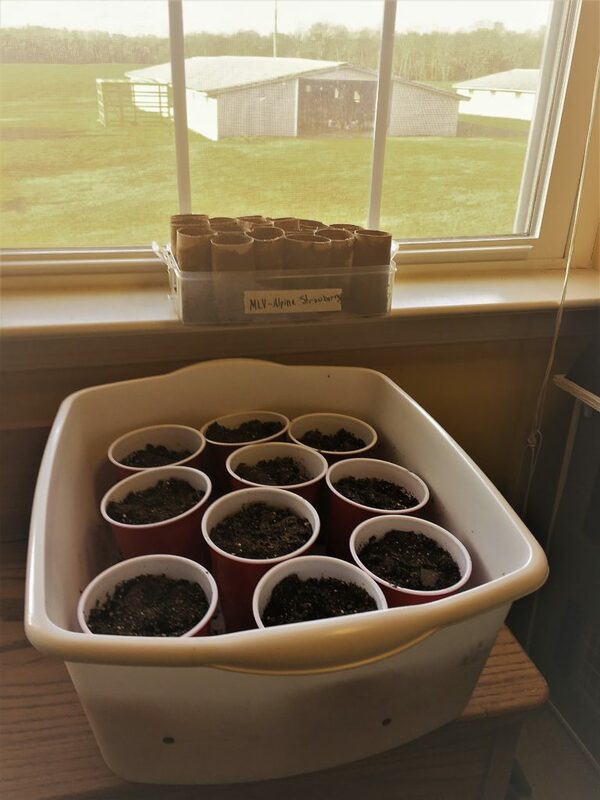 This year, we are going to give toilet paper rolls and solo cups a try as seed containers. I like the idea of the toilet paper rolls because they can be planted directly in the ground. The solo cups weren’t previously used but they could have been. If you have a party just ask your guests to stack their cups by the door on their way out and voila – re-purposed cups as seed containers. My plan is to rinse out and reuse the plastic cups for as long as they hold up. There are lots of options out there without having to go buy something new. You can make cups out of newspaper, egg cartons, old yogurt containers, etc. There is a great article at The Prairie Homestead with ideas and links to make your own seed containers. I think I’m more excited about the sprouting seedlings than Megan is. I check on them every day. We don’t have a heat mat to help warm things up and speed up germination so I’m hoping that the house’s ambient temperature is warm enough. I was able to get a flourescent light over them in the evening to give them a few more hours of light every day. What have we planted? Megan really wants strawberries! I had a packet of alpine strawberry seeds from last year so we went ahead and planted those. I don’t know if they are too old to germinate but I guess we’ll find out. We also had an earlier blog post where I talked about wanting to make our own pickles this year, so we also planted pickling cucumber seeds. Leave us a comment and let us know what you’re planning to grow this year. I’m open to new ideas so let me know your favorite fruits and vegetables to grow. ← How do I Pick up New Farm Skills?